I agree to receive electronic communication(s) from Yoco regarding commercial and industry matters. The success of our economy lies in small business. Already, they constitute a disproportionate number of formalised businesses, contribute around one-third of GDP and provide employment to millions of South Africans. Despite their importance, there is little information available on a regular basis about the state of small business in South Africa. 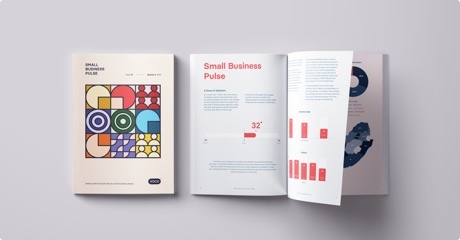 The Yoco Small Business Pulse hopes to provide an insightful overview of the state of small business in South Africa on a quarterly basis. Our aim is to help small business owners across the country grow their businesses through access to useful information. 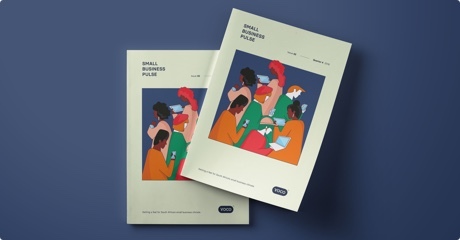 Every edition of the Pulse is also accompanied by a deep dive into one of the key factors that influence the sector - access to small business funding. The Pulse was made possible by the awesome businesses in the Yoco small business community. Thanks to them, we’re able to share their insights with other small businesses across South Africa - the ones that have been under-represented in these kinds of surveys. Until now. Getting a feel for South Africa's small business climate. Click on the button below if you've read the Yoco Small Business Pulse and want to get in touch with a member of our team. *Please note that this contact information is specifically for press queries. If you have a sales or support query please contact our teams via the contact page. Copyright © 2019 Yoco Technologies (Pty) Ltd. All rights reserved.